Percolate helps readers discover and learn a 9 point process "The Percolate Process" to implement lasting change in our lives, to never ever give up and discover the power we have individually and collectively to bring about positive, lasting change within ourselves and what we percolate into the world. Readers will learn how to also "Percolate Peace" and live our lives with greater meaning, intention and awareness. Percolate helps us discover our greater role in the world and also shows, in real time and story, the incredible power we have when we work together. I feel honored to have included so many of your stories and/or have had your help along the way with reading and re-reading various versions of the book. Thank you for your support. Amy Pauszek, Karen Fouke, Gabe Berman, Dr. David Fraser, Debra Oakland, Deb Scott, Gary Kobat, Brian Hom, Justin Hamilton, Sarah Bazey, Liz Foley, Emily Janson, Shea Vaughn, Stephen Powers, Vernon Turner, Edith Namm, Lisa Tener, Michelle Phillips, Gary Reichel, Dr. Alex Concorde, Dr. Jo Anne White, Frank Stallone, Randi Siegel, Katana Abbott, The New Hollywood, Pina De Rosa, NataliePace, Lynn Abbott-McCloud, Michael McGlone, Peter Guarino, MedicAlert Foundation, my children, parents and family and so many more. I would also like to thank Sandra Waugh for her incredible art work throughout. I feel so very blessed to have had Dr. Katie Eastman join me in the coffee breaks and throughout the process of writing this book. Katie provided some critical oversight to really ground the book in psychological principles and was also so very instrumental in helping me sign with Hay House. I am forever grateful to Katie for all she has done and will continue to do to support Percolate. 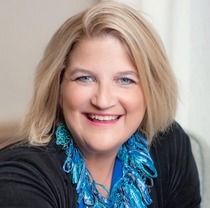 Please also keep a close eye on Dr. Katie and she develops her own Transformational Leadership Network and her new coaching business as well. Her Facebook page is https://www.facebook.com/DrKatieEastman and Twitter is @DrKatieE. We want to support her in the very same fashion and manner that she has supported me and all of us here at BestEverYou.com over the years. Dr. Katie will still continue to serve as a consultant to Best Ever You and chime in on the radio and with Percolate, where her time and energy permit. A very special thank you also to Katie's family and friends for their support. John and Cali were with us each step of the way! Finally, thank you to everyone at Hay House for standing so solidly by this project. Thank you to Reid Tracy, Shannon Littrell and Lisa Bernier. Your expertise and editing have been instrumental in transforming this book into the Percolate Points and all that the book is. 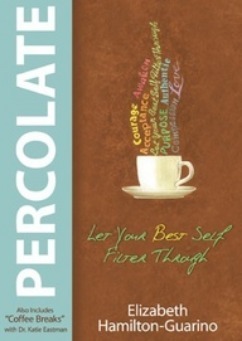 Percolate will be released April 14, 2014. Again, it is now available wherever books are sold. Dr. Katie Eastman, founder and CEO of children's palliative care community is a key figure in the lives of those struggling to understand death and the process of dying. An advocate in the field of hospice and palliative care for over 25 years, Katie is a transition coach, consultant and writer supporting others in living today better than yesterday. 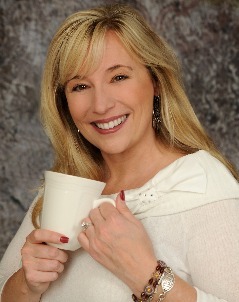 Katie holds a doctorate in clinical psychology and a Masters in social work with a health care specialization. Katie lives with her husband and daughter in Washington State. Just wanted to say Thank You for everything you do and for helping so many of us everyday. The Best Ever You Network is a continuously growing resource for so many people and we are so blessed to have a woman of such passion in our corner. I am so excited for the book and have already pre -ordered several copies which I intend to give to a few close friends and some family members. Thank you for helping us find the strength, courage and wisdom to recognize the things which are keeping us from true happiness and to be able to make the changes needed to achieve our goals. Please keep up the great work and I hope you have all the health, happiness and love you are helping so many of us find.